This years line up for ANZ Sail Fiji is very mixed. From serious offshore weapons like the VOR 70 Giacomo (formally Groupama) that has raced around the world, to Cotton Blossom 2 which is usually seen in a racer/cruiser set up around the Bay of Islands, then the likes of Allegro, which has been know to cook a full roast dinner while racing down the coast of Australia. 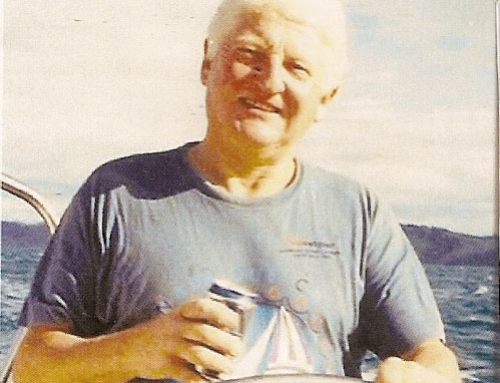 The Warwick 67 is owned and skippered by Adrian Lewis from the Cruising Yacht Club of Australia. 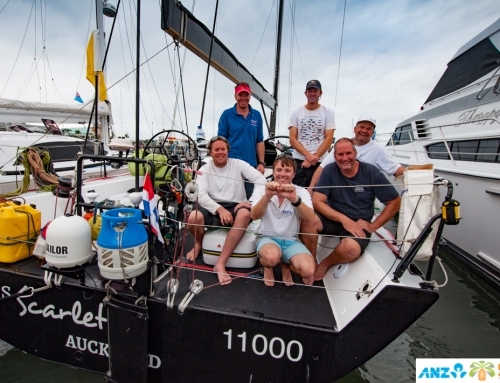 His crew are young and not so young, but fit and energetic, and can’t wait to enjoy the luxuries of life ashore as they race the 1,100 nautical mile race from Auckland to Denarau in Fiji. Allegro. Photo from Allegro Yachting Facebook Page. 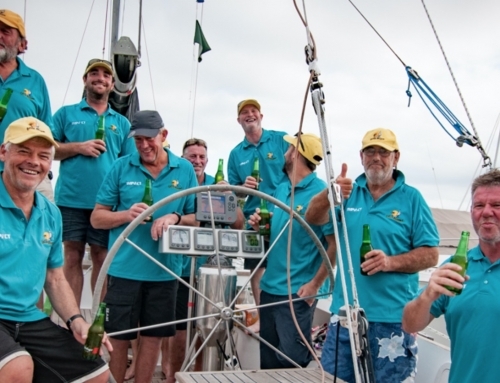 “We will be having hot showers and boat cooked meals every night!” laughed crew member Tim at the ANZ Sail Fiji farewell party held on Saturday 28 May. This is a far cry from the freeze dried delights that will be on board Team Vodafone Sailing and Crusader35. “Oh yes, we race the boat hard, but we are also clean each day! We will be having a hot shower at least once as we race to Fiji,” said owner Lewis. “We have more white goods on board than Harvey Norman has in store!” joked another crew member, Peter Young. The crew from Allegro were all smiles at the party, clearly very enthused about the race ahead. “We have done Hobart in this boat and she goes really well. We hope to be in Fiji in good time,” said Lewis. Allegro is a combination of luxury and carbon fibre that makes for comfortable yet fast passage making. She finished in first place on PHS in the ORCVs 2015 Melbourne to King Island race and 3rd place in Division 1 at Hamilton Island Race Week 2015 before completing another Sydney Hobart last year. This is the first time that Allegro has raced to Fiji. The race component of ANZ Sail Fiji kicks off at 1100 hours on Saturday 4th June at 1100 hours off Orakei Wharf. HEADER IMAGE: Allegro. Photo from Allegro Yachting Facebook Page.